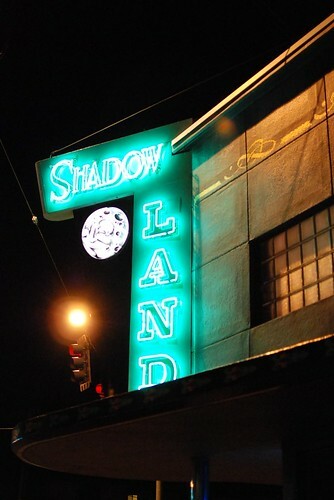 It’s been over six months since I joined in the Burger-of-the-Month outing, but tonight stars aligned & I went along to visit West Seattle’s Shadowland. The burger was excellent, cooked to order (and they listen) with option of bacon, cheddar, brie, or an egg. We approved. This place has a good grilled burger. Downside: weak bun. Also, I was freezing nearly the entire time. From the eclectic menu and onto my plate: scotch eggs, mac & cheese, 3-cheese poutine, and fried pickles. The scotch eggs were a tidge dry but okay with the spicy mustard; the mac & cheese was delicious, respectable and the cheese never turned gummy or chalky; the poutine was decent until it seized in the frigid room; and fried pickles were as good as it gets anywhere and my favorite of the evening. There were spam sliders floating around, but I left those to Rocky et al. All month I wished I’d made it to last month’s Spring Hill, but learned it’s not their strong suit anyway. Next places I plan to try in WestSea but not for their burgers: Buddha Ruksa, Spring Hill, & La Rustica. I wish I’d had more time in Seattle – I was going to suggest meeting up at Buddha Ruksa! Next time. And there will be a next time – planning on a two-week-long visit in the spring. And putting serious thought into moving back for good in June, when my lease is up. I’d definitely be up for meeting you in West Seattle in the Spring! I know how it goes when travelling — time just slides away too fast. I’m glad you’re coming back to visit so soon!